Carnegie 2012 best professors Todd Pagano, left, and USF’s Autar Kaw share their background and philosophy on teaching Wednesday in Tampa. The University of South Florida is normally home of one 2012 U.S. Professor of the Year--USF Mechanical Engineering Professor Autar Kaw--but on Wednesday, it welcomed all four winners. It's the first time the group had been together since they received their awards from the Carnegie Foundation for the Advancement of Teaching and the Council for Advancement and Support of Education. According to the Tampa Bay Times, the quartet spoke at USF's third annual Student Success Conference. 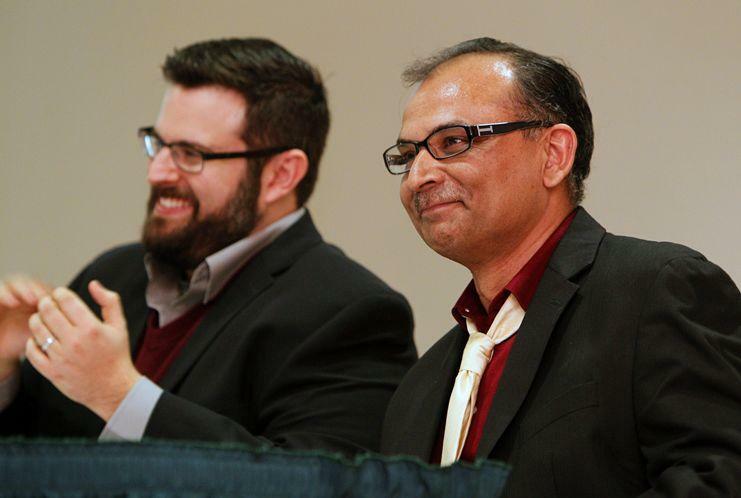 For USF's Kaw, it's about making an emotional connection with students. It can take time, he said, but some students tell him things they're not comfortable telling their parents. And on an academic level, it's about setting high expectations and not wavering. "Sometimes I do get student comments that I expect too much from them," he said. "The word gets out that I do have high expectations so they do hunker down." Kaw was profiled earlier this year on WUSF's University Beat. Whether it's in the classroom or on a popular YouTube video series, USF Mechanical Engineering Professor Autar Kaw uses a style that challenges his students. At the same time, they're not only learning complex mathematical formulas, but they're remembering them. 1. 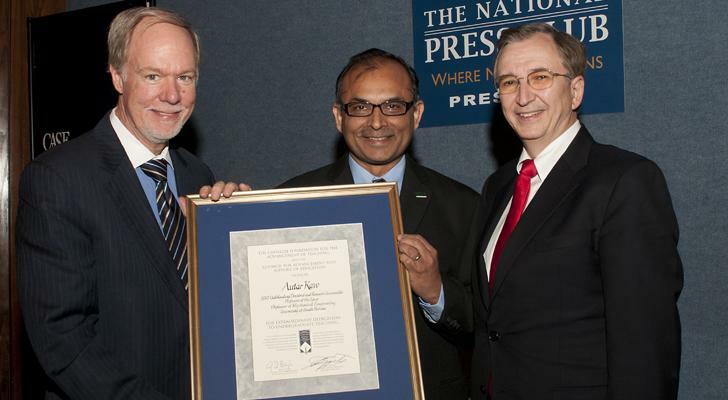 Kaw was honored, in part, because he's the "Numerical Methods Guy." Kaw's Holistic Methods Institute website, his blog and his YouTube video lectures, have been seen by thousands of engineering students around the world. Using those tools, he says, builds a strong base for future learning. A University of South Florida professor is one of just four recipients of what's considered one of the nation's highest honors for undergraduate teaching. 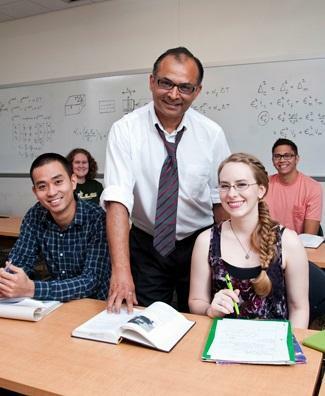 Mechanical Engineering Professor Autar Kaw has been named "Professor of the Year" by the Carnegie Foundation for the Advancement of Teaching and the Council for Advancement and Support of Education. Kaw, who has taught at USF for 25 years, was selected in the category of Outstanding Doctoral and Research Universities Professor of the Year.